Earning the right to operate is a responsibility Eastman takes very seriously. We understand that even the smallest action can have a lasting effect. Therefore, managing resources responsibly and preserving the ecosystem are top priorities. How do you increase the energy efficiency in operations while improving the reliability of the steam produced, maximizing turndown and properly controlling steam pressure while maximizing steam generated? Eastman worked through Energia Group’s Power Systems Manufacturing to identify new burner technology that would fit the turndown, operating and environmental demands of its cogeneration plant in Longview, Texas. After the new technology was identified (PSM/Ansaldo’s FlameSheet™ Combustion System) and proven, a project was initiated to install the new burners. From conception to implementation, Eastman experts were able to determine the amount of steam production that could be moved to the cogeneration plant while keeping the olefin cracking plant boilers at or above minimum rates. Controls were installed to maintain the steam header pressure and maximize cogeneration steam production leading to maximum energy efficiencies and reductions in CO2 . The installation of this new burner technology was the first in the industry. The increased turndown has changed how the site generates steam and how the cogeneration facility generates electricity. 156,000 MMBtu were saved in 2016, a 9% energy savings per Klb of steam produced. In addition, the project yielded an annualized net CO2 emissions reduction of 9,130 tons leading to accolades from both the American Chemistry Council and the Department of Energy in 2017. Earlier this year, Eastman received the 2018 ENERGY STAR® Partner of the Year Sustained Excellence Award for continually advancing leadership in energy management throughout the company and associated communities. 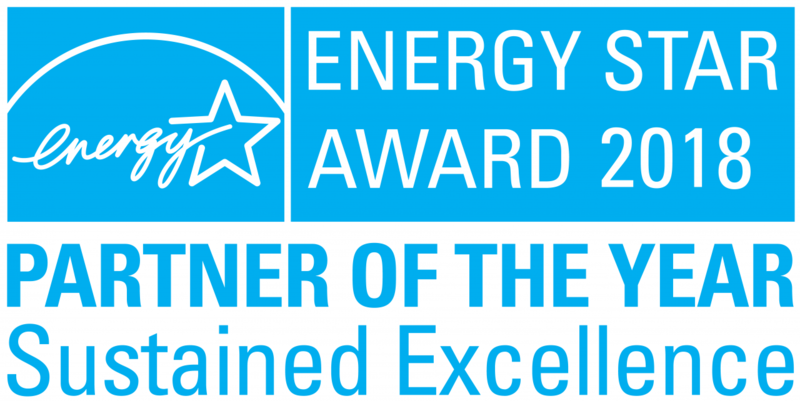 This marks Eastman’s seventh ENERGY STAR Partner of the Year Award and fifth Sustained Excellence recognition. Learn more in Eastman's 2018 Sustainability Report, Changing the trajectory.